Students can create a poster illustrating projects in Science, Technology, Engineering, or Mathematics (STEM) and present it to industry professionals in the STEM fields. Interested students should submit a title and an abstract online and bring the poster for display and present to industry and academic professionals. Participants are requested to bring a printed poster to the event. All posters will be published by the IEOM Society International. The size of the poster should be 48″ x 36″ (36 inches high by 48 inches wide). Posters will be judged in the each grade level. Winners will be awarded certificates and trophies. All participation will receive attendance certificates. 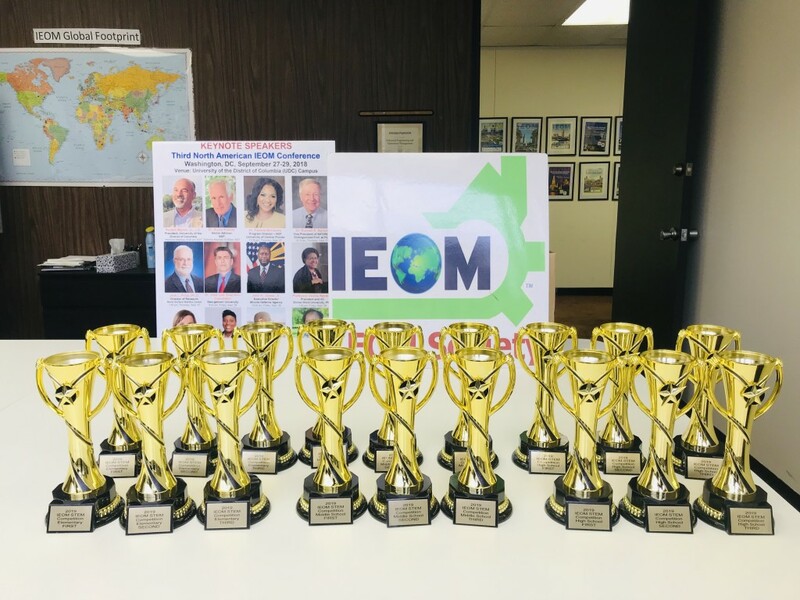 The winners are invited to present in the IEOM Conferences. Also, the winners can submit paper to the IEOM Conferences to be published in the proceedings. Submission is open for national and international participants. Students can bring a tri-folded poster or any regular poster for the competition. It could be 8-12 slides power point and then print & glue on the poster board.